Many prestigious schools send “likely letters” to their most coveted students to entice them to enroll. Read on to learn more about this marketing tool and the effect it has had on two recent recipients. On February 1, high school senior Trustin Henderson received a phone call from New Haven, Connecticut. Before he picked up, he expected to be notified about missing application materials from Yale University—the school was in that city, after all—but the message proved to be something much more welcome. It turned out to be what’s called a “likely letter”—or call or e-mail—used by colleges to notify applicants of “likely” admission before official decisions are delivered. Trustin, a prospective engineering student from Mississippi, said his initial reaction was disbelief. For Trustin, it was the first time he’d even heard the term “likely letter” before. Another senior, Pam, was also shocked by her phone call from Yale. “I didn’t even know likely letters [or] calls were a thing that colleges did,” she said. Not many students do, and not many are recipients. Of the University of Pennyslvania’s 37,267 applicants in 2015, only 3,697 were admitted, and only 400 received a likely letter, according to The Daily Pennsylvanian. It was a nice surprise for both Trustin and Pam—and others who have received likely letters from Columbia University in the past few weeks—but on the whole, it’s a mostly understated phenomenon. Several prestigious colleges, including Ivy League schools like Harvard University and Dartmouth College, have reported sending likely letters in past years, many of them for top athletes. However, those who excel in certain disciplines for which a college actively recruits can potentially be awarded the letters as well. A likely letter functions similarly to an acceptance during the Early Decision or Early Action period of college applications in the fall, Trustin said. An “acceptance” through a likely letter, though without the formality of an official acceptance letter, can function as a stress-reliever after the pressure of submitting college applications. Pam, who intends to major in a similar field as Trustin, was a member of the Minority Introduction to Engineering and Science (MITES) program, a six-week residential course taught on the campus of the Massachusetts Institute of Technology, during the summer of 2016. She thinks this, as well as her other accomplishments, helped her stand out among other applicants. Trustin, also a member of MITES, said his college interview went extremely well, and he made sure to write his essays about topics he was passionate about—regardless of whether they were perhaps “conventional” topics. While knowing about his application status at Yale has helped with some of his nerves, it’s also been beneficial to his work ethic, Trustin says. Both students recognize, however, that the likely letter often functions as a marketing tool and a way for Ivy Leagues and similar institutions to compete with one another for what they believe are the “best” applicants—however subjectively that “best” may be defined. Even if it is just a recruiting tool, Trustin was still ecstatic to hear back from a college so soon—and admits the likely letter has made him consider Yale more highly. “If a college is seeking to woo a student, accepting that student within a month of application submission, providing the student with a paid trip to tour science and engineering facilities, and providing opportunities to meet world-renowned researchers, professors, and Nobel Laureates is certainly the way to do it,” he said. A list of colleges that offer these letters does not currently exist, and compiling one would be difficult, as data is often sparse or unreliable. If you’re wondering whether a particular institution offers likely letters, a Google search may suffice. However, Trustin cautions against regarding these letters too seriously or being disappointed if “the letter” doesn’t arrive. “Don't worry about it. I am very against the concept of worrying,” he said. “Worrying will not change anything…only action will. And when the application is submitted, and there is nothing more to be done, the best possible thing to do is to continue to uphold your academic performance and to enjoy this fleeting and bright thing we call life. “Apply to scholarships, apply for summer programs, but don't worry about not receiving a likely letter. The likely letter I received was STEM-specific, so if a student didn't indicate a STEM major on their application, I doubt they were even considered. “But,” he reiterated, “if you did apply as a STEM major and didn't receive [a likely letter], don't fret.” Until admission decisions are released later in the spring, the vast majority of applicants to this type of college won’t know if they’ve been accepted—and that’s okay! 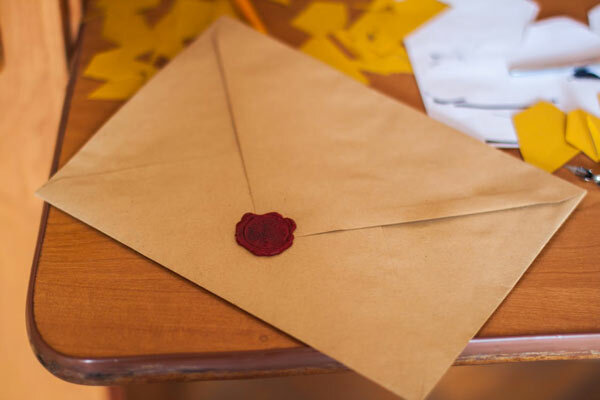 Are you a lucky recipient of a likely letter? Or is this the first time you’ve ever heard of them? What do you think—do they sound exciting or more like a marketing ploy? Tell us your thoughts in the comments!